EL PASO, Texas–(BUSINESS WIRE)–Hunt Companies, Inc. (Hunt) today announced that 97% of the 281 luxurious residences at The Mallory Eastside Apartments are leased. 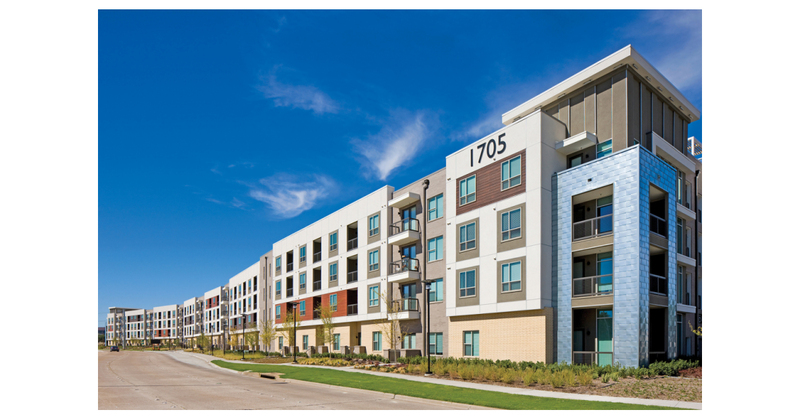 The apartments are located at 1705 North Greenville Avenue in Richardson, Texas. Hunt developed the property with construction led by its affiliate, Moss. Pinnacle, also an affiliate of Hunt, manages the property, which is centrally located in the heart of Richardson's telecom corridor just minutes from UT Dallas. There is a high concentration of nearby restaurants, retail centers, major employers, and recreational facilities that residents can walk to and enjoy. Since leasing began in late 2017, leases on one and two-bedroom apartments and lofts have been signed for nearly the entire property. The units are spacious with modern floor plans, luxury finishes, high ceilings, and eco-friendly features. Outdoor amenities include a pet park and dog spa, and rooftop Sky Deck with tropical pool oasis with private poolside cabanas. A unique onsite highlight includes the City of Richardson Art Park will house one of the city's most distinctive works of art designed by local artist Ed Carpenter. This project is one of several where Hunt led the development with support of its affiliates to provide its investors with a turnkey solution for investments in the multifamily sector. From concept to completion, this vertical delivery presents a strategic advantage for multifamily developments by providing a full suite of real estate services through Hunt’s affiliates to deliver the most successful projects to its investors. Hunt’s in-house services include development, construction, debt and equity sourcing, investment management, and property management. Founded in 1947, Hunt Companies, Inc. is today a holding company that invests in business focused in the real estate and infrastructure markets. The activities of Hunt’s affiliates and investees include investment management, mortgage banking, direct lending, loan servicing, asset management, property management, development, construction, consulting and advisory. The platforms employ over 6,000 people and touch over $30 billion in assets. Moss (www.mosscm.com) is a leading privately-held construction firm headquartered in Fort Lauderdale, Florida. With 9 regional offices in five states from Hawai’i to USVI, Moss focuses on construction management at-risk, design-build, and public-private partnerships. The company's diverse portfolio encompasses a wide range of sectors, including luxury high-rise residential, landmark mixed-use developments, hospitality, primary and higher education, justice and solar energy. Moss prides itself on a strong entrepreneurial culture that honors safety, quality, client engagement, and employee development. Its employees consistently rank Moss as one of the best places to work for career satisfaction.